(NaturalNews) The former head of the FDA, Margaret Hamburg, used the federal agency to run a massive conspiracy of racketeering and fraud in order to generate millions of dollars in drug company profits for her husband's hedge fund firm, alleges a damning lawsuit filed in the United States District Court for the District of Columbia. 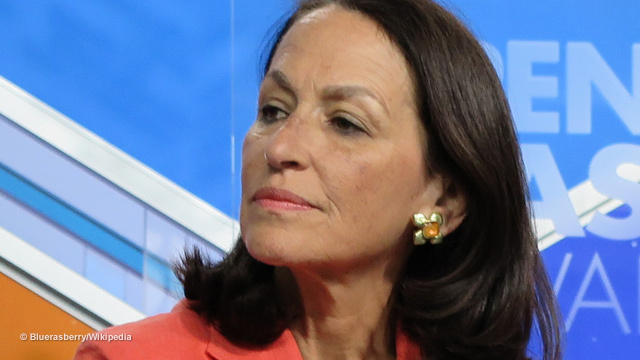 The lawsuit alleges that while acting as FDA commissioner, Margaret Hamburg engaged in a wide-ranging conspiracy to approve an extremely dangerous drug known to cause severe (and even deadly) side effects, in order to financially benefit her husband's hedge fund which held very large financial positions in Johnson & Johnson, makers of the drug. "Defendants, each and every one of them, operated a criminal conspiracy at least between the years 2009 to 2015 to fraudulently suppress warnings about the devastating effects of Levaquin," says the complaint. Once confirmed as FDA Commissioner, Dr. Margaret A. Hamburg acted as the instrumentality that all Defendants used to perpetrate their conspiracy and racketeering enterprise by having her act illegally and outside the scope of her authority as FDA Commissioner to suppress material information to Plaintiffs and the public that Levaquin was inherently dangerous and in fact, deadly. Had this information been disclosed to Plaintiffs and the public at large, her and her husband's financial gain and net worth would have plummeted, since Dr. Margaret A. Hamburg's husband, Peter F. Brown, reaped and continues to reap huge financial gain as a result of Renaissance Technologies, L.L.C. 's holdings of Johnson & Johnson stock. To further this conspiracy, Dr. Margaret A. Hamburg, acting in concert with each and every Defendant, jointly and severally, appointed officials of Johnson & Johnson to key FDA Advisory Committees and colluded with Johnson & Johnson and its officials and subsidiaries to suppress information about the dangerous and deadly effects of Levaquin. As a result, during Dr. Margaret A. Hamburg's tenure as FDA Commissioner from 2009 to 2015, over 5,000 people died as a result of consuming Levaquin and other dangerous drugs promoted, manufactured, marketed, distributed and sold by Johnson & Johnson, suffered debilitating, life-threatening, and deadly illnesses and effects. This deadly harm is continuing as Plaintiffs and thousands of other people are suffering and dying from the highly dangerous effects of Levaquin. "Both Alkermes and Johnson & Johnson stock value increased significantly during Hamburg's tenure," reports The Daily Caller. Dr. Margaret A. Hamburg was nominated as a result of huge political and other gratuities to Hillary Clinton and The Clinton Foundation, and at Mrs. Clinton's recommendation. During the confirmation process before Congress, Dr. Margaret A. Hamburg, acting in concert with her husband, Peter F. Brown and the other Defendants named in this Amended Complaint, at all material times the Co-CEO of a hedge fund named Renaissance Technologies, L.L.C., failed to disclose to Congress and other relevant authorities, her and her husband's clear-cut conflict of interest – specifically, that Renaissance Technologies, L.L.C. held hundreds of millions of dollars of Johnson & Johnson stock, the manufacturer of the deadly drug, Levaquin. ...Defendant Hamburg, on behalf of all of the Defendants as part of this racketeering conspiracy, gave political contributions and gratuities to Hillary Clinton in 2005, 2006, 2007, and 2008 to induce Mrs. Clinton to recommend and push for Defendant Hamburg to be nominated by President Obama. ...Defendant Hamburg, on behalf of all of the Defendants as part of this racketeering conspiracy, gave political contributions and gratuities to President Obama to induce him to nominate her to be appointed as FDA Commissioner. From what we now know about the Clinton Foundation's deep financial ties to Big Pharma and Wall Street hedge funds, none of this comes as any sort of surprise. In fact, while these allegations may have been easily dismissed as a "conspiracy theory" in 2008, so much more awakening has happened among the American public that they are now likely to be understood as an "actual conspiracy" being carried out among the political and financial elite who routinely conspire against the people in order to enrich themselves. From May 2009 to March 2015, Plaintiffs suffered mitochondrial toxicity, neuropsychiatric adverse events, and multi-system disability related to their consumption of Levaquin, including a constellation of medical issues related to the following body systems: neuromuscular, neuropsychiatric, peripheral neuropathy, senses, skin, cardiovascular, plus, endocrine, nutritional, metabolic and immunity; blood and blood forming organs; circulatory system; respiratory system; digestive system; genitourinary system; and connective tissue. Specifically, Plaintiffs suffer from a constellation of medical issues, including but not limited to widespread bodily pain, fatigue, muscle weakness, muscle twitching, muscle wasting, gait disturbances, severe balance issues, stiffness, spasms, joint pain, tendon issues, seizures, tremors, numbness, burning, tingling, fasciculation, spasticity, nerve damage, autonomic issues, voice issues, exercise intolerance, difficulty swallowing, slow digestive motility, abdominal pain, acid reflux, gastritis, nausea, constipation, diarrhea, colitis, cognitive impairment, memory impairment, cardiac issues, urinary issues, kidney damage, liver damage, pancreatic damage, thyroid abnormalities, hair loss, glucose issues, respiratory issues, emotional issues, depression, psychosis, depersonalization, dissociation, anxiety, insomnia, abnormal dreams, suicidal thoughts, thought alterations, agitation, fatigue, dizziness, inability to concentrate, panic attacks, difficulty communicating, forgetfulness, bruising, vision issues, hearing issues, tinnitus, dental issues, gum issues, skin issues, rashes, multiple chemical sensitivity, sexual dysfunction, reproductive issues, and DNA damage. You can read the complaint here, posted by the Daily Caller News Foundation. I've extracted some of the highlights of the complaint for reference, shown below. This Amended Complaint sets forth allegations that involve a conspiracy by Defendants, each and every one of them, to reap large financial returns by failing to disclose to Plaintiffs and the public at large the full extent of the devastating, life-threatening, and deadly effects of a highly dangerous pharmaceutical drug named Levaquin. Because of the Defendants' racketeering scheme and conspiracy to suppress warnings and other material information about the extent of the deadly effects of Levaquin, Plaintiffs were precluded from discovering the extent of their injuries until 2015, not coincidentally after Dr. Margaret A. Hamburg no longer held her position as FDA Commissioner in 2015 and material information about the full extent of the dangers of Levaquin were disclosed thereafter. Defendants, each and every one of them, profited handsomely from their racketeering conspiracy by their agreed-upon failure to disclose the harmful effects of Levaquin to Plaintiffs and the public at large. This case is thus of seminal importance not only for Plaintiffs, but also for the consuming public at large. It is a tragic testament to how corrupt companies like Johnson & Johnson and their officials bribe and illegally collude with government officials and line their pockets at the expense of persons such as Plaintiffs. Defendant Hamburg, on behalf of all of the Defendants as part of this racketeering conspiracy, gave political contributions and gratuities to Hillary Clinton in 2005, 2006, 2007, and 2008 to induce Mrs. Clinton to recommend and push for Defendant Hamburg to be nominated by President Obama. Defendant Hamburg, on behalf of all of the Defendants as part of this racketeering conspiracy, gave political contributions and gratuities to President Obama to induce him to nominate her to be appointed as FDA Commissioner. In and around May 26, 2009, Defendant Hamburg was forced to divest herself of several hedge fund holdings, as was her husband, Defendant Brown. This was done in order for her to take the position as the top food and drug regulator without any real or apparent conflicts of interest. However, the conflict of interest herein was never resolved. Neither Defendant Hamburg nor Defendant Brown, nor any other Renaissance Technologies executive had fully disclosed to Congress and other authorities that Defendant Brown, Defendant Hamburg's husband at all material times, still held shares in – and benefits financially from – all of the stocks of Renaissance, via Renaissance Technologies profit-sharing, as explained in detail by Defendant Simons, regardless of whether Defendant Brown divested himself of a particular hedge fund, in furtherance of the racketeering enterprise and conspiracy. While Defendant Hamburg was FDA Commissioner, her husband, Defendant Brown's annual income, not coincidentally, increased from a reported $10 million in 2008 to an estimated $125 million in 2011 and an estimated $90 million in 2012, due in whole or in part to Defendants' racketeering conspiracy to withhold information about the devastating, life threatening, and deadly effects of Levaquin. As part of Defendant Hamburg's pattern and practice of acting illegally outside of the scope of her authority as FDA Commissioner in furtherance of the racketeering enterprise and conspiracy, she counseled the FDA to also approved another highly dangerous pharmaceutical drug that Renaissance Technologies owns stock in, Zohydro, despite the fact that on December 7, 2012, an FDA Advisory Committee voted 11 to 2 against its approval. In or around March 2013, Defendant Hamburg personally testified to members of Congress that she supported Zohydro's approval. Defendant Hamburg, as part of her pattern and practice of illegally acting outside the scope of her authority as Commissioner of the FDA, fraudulently used the U.S. mails and wires to commit overt acts in furtherance of the racketeering enterprise and conspiracy by willfully and intentionally and illegally preventing the FDA from issuing warnings about the devastating and life-threatening effects of Levaquin. On November 5, 2015, after Defendant Hamburg had resigned, an FDA employee, Debra Boxwell, finally exposed to Plaintiffs, and the public at large, that Defendant Hamburg and the FDA had been aware that Levaquin may result in multi-system disability since 2013, but that it did nothing to add this information to the Levaquin label and instead conspired with the other Defendants to fraudulently withhold it. Defendants, each and every one of them, operated a criminal conspiracy at least between the years 2009 to 2015 to fraudulently suppress warnings about the devastating effects of Levaquin. Specifically, the purpose of Defendants' racketeering enterprise included, but was not limited to, reaping large financial gain by willfully and intentionally suppressing material information, through the fraudulent use of the U.S. mails and wires, about the devastating, life threatening, and deadly effects of Levaquin. These Defendants form this association in fact for the common and continuing purpose described herein and constitute an enterprise within the meaning of 18 U.S.C. SS 1961(4) engaged in the conduct of their affairs through a continuing pattern of racketeering activity. As described in the foregoing paragraphs of this Amended Complaint, Defendants, each and every one of them, maintained an ongoing relationship during the course of their ongoing criminal enterprise. From May 2009 to March 2015, Defendants Johnson & Johnson, Johnson & Johnson PRD, and Janssen committed acts constituting indictable offenses under 18 U.S.C. SS 201(b)(1)(A)-(C) in that they directly or indirectly, corruptly gave, and offered and promised things of valuable, such as money, to Defendant Hamburg, who for the purposes of this predicate act was a public official as FDA Commissioner, with the intent to influence Defendant Hamburg to suppress material information about the devastating, life-threatening, and deadly effects of Levaquin. This is evidenced by Defendants Johnson & Johnson, Johnson & Johnson PRD, and Janssen's pattern and practice of using gratuities and bribery to secure favorable treatment for its products, as described in paragraph 40 of this Amended Complaint. 109. From May 2009 to March 2015, Defendants Renaissance Technologies, Brown, Mercer, and Simons, in furtherance of the racketeering enterprise and conspiracy, transferred ill-gotten and illegal financial gains from Defendant Renaissance Technologies' holdings of Defendant Johnson & Johnson stock to Defendants in order to continue to carry out Defendants unlawful conspiracy to conceal material information about the devastating and life-threatening effects of Levaquin. As set forth previously, in every quarter except one, from May 2009 to March 2015, while Defendant Hamburg was FDA Commissioner, her husband, Defendant Brown's employer, Defendant Renaissance Technologies, held significant amounts of Defendant Johnson & Johnson stock, including as much as half a billion dollars in Defendant Johnson & Johnson stock.